Step out of Perth with an excursion to Fremantle Prison in Fremantle--about 32 minutes away. Dedicate the 25th (Thu) to wine at some of the top wineries in the area. 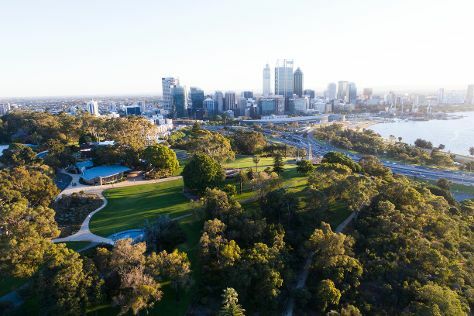 There's much more to do: stroll around Kings Park & Botanic Garden, snap pictures at Elizabeth Quay, contemplate the long history of The Perth Mint, and pause for some photo ops at Kings Park War Memorial. To find more things to do, where to stay, and tourist information, refer to the Perth road trip planner . Minneapolis, USA to Perth is an approximately 32-hour flight. The time zone changes from Central Standard Time to Australian Western Standard Time, which is usually a 14 hour difference. Plan for little chillier temperatures traveling from Minneapolis in June, with highs in Perth at 68°F and lows at 46°F. Finish your sightseeing early on the 25th (Thu) to allow enough time to travel to Adelaide. 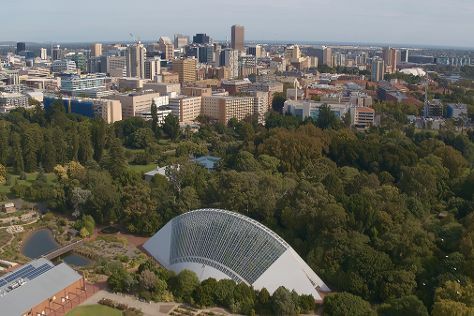 Kick off your visit on the 26th (Fri): take in nature's colorful creations at Adelaide Botanic Garden, admire the masterpieces at Art Gallery of South Australia, learn more about the world around you at South Australian Museum, then browse the collection at State Library of South Australia, and finally hunt for treasures at Adelaide Central Market. On the next day, indulge your senses at some of the top wineries in the area. For where to stay, reviews, other places to visit, and other tourist information, use the Adelaide trip planner . Traveling by flight from Perth to Adelaide takes 5.5 hours. Alternatively, you can take a train; or drive. You'll lose 1 hour traveling from Perth to Adelaide due to the time zone difference. While traveling from Perth, expect slightly colder days and about the same nights in Adelaide, ranging from highs of 60°F to lows of 45°F. On the 28th (Sun), wrap the sightseeing up by early afternoon so you can travel back home.